House, 4 Bedrooms, 3.5 Baths, (Sleeps 8-9) Golf Channel & Golfweek stayed here! The Golf Channel, Golf Digest, Golfweek and TaylorMade have all stayed here! Newer home built in 2007 on a peaceful and private wooded lot. Hardwood floors throughout, granite countertops in all baths and kitchen, stainless steel appliances, professionally decorated. Great room has 2 leather recliners, a large flat screen tv and wood burning fireplace for relaxing. Used just for vacations, this home is in pristine condition, everything is still like brand new as we have never lived in it. The bedrooms are laid out for privacy with no shared walls, each bedroom has a tv and is very quiet. Mattresses are top of the line Serta Perfect Sleepers. Begin and end your day on the back porch in our comfy rocking chairs with a steamy mug of coffee or your favorite cold beverage. You are walking distance to the GW clubhouse,restaurants, pool, playground, golf course, driving range, putting green and tennis courts. Great for Master's week, getaways, or group outings. Reynolds Plantation is consistently ranked among the top golf resort destinations in the country. Renters have access through our club membership as an unaccompanied guest to play 5 championship golf courses. We even reserve your tee times! It doesn't get much better than Reynolds Plantation! Reynolds has five premier golf courses. Lake Oconee offers fabulous bass fishing and water sports and is Georgia's second largest lake. The Ritz Carlton Lodge is 7 miles away for restaurants, spa treatments, and much more. Give us a call for questions and details, we would love to have you enjoy our home! This wonderful home has everything needed for a family or group of friends to stay and play golf. The kitchen has all you need to prepare gourmet meals (if there is a cook in your group). Each bedroom is its own little oasis of peace and quiet. The family room is spacious and great for gathering. The pool and club house are a short walk and a nice place to spend time after a round of golf. The owner is very responsive and obviously loves sharing their home with new guests. The owners have thought of everything in this lovely comfortable home. All the kitchen cabinets were labeled so we knew where to find anything we needed. The closet in the master bedroom had extra toothbrushes, deodorant and other necessities. Which was great because I forgot my toothbrush. The house was well stocked with anything we might need such as paper towels, plenty of towels and is a very short walk to the Great Waters Country Club. The owner was very easy to work with and communicated with me in a timely manner. There was also information on the kitchen counter with emergency phone numbers, restaurant recommendations and helpful notes about the home. We had a great stay in this very comfortable home! Great property. Close to several golf courses. They thought of everything. Perfect for our golf and Masters trip. Thank you, glad you enjoyed your stay. This home is very well maintained and stocked with the essentials. It was perfect for our visit to the Masters Tournament. The owner, Larry, makes the rental process easy and provides all the information necessary for an enjoyable stay. I highly recommend this home if you are looking for a tranquil getaway location. 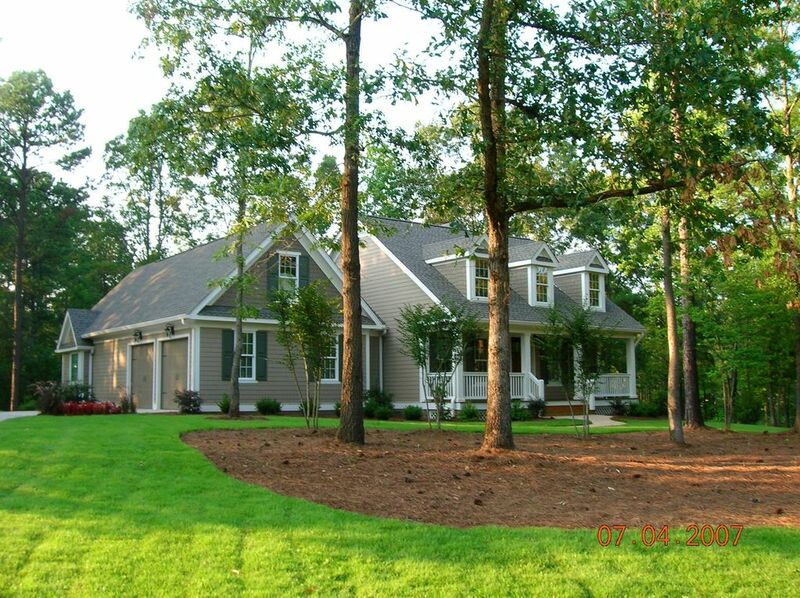 This home was perfect for our Masters trip. It is in immaculate condition, well stocked, very comfortable, and located in a beautiful, quiet, wooded setting. The homeowners made the rental process very easy, communicated well, and provided excellent recommendations for area restaurants, shopping, and activities. I only wish we had spent a couple of more days there to play golf on the area courses. If you’re looking for a great place to stay for the Masters or to vacation in the Lake Oconee area, I highly recommend this home. the beautiful scenery as well. We enjoyed the work-out gym, pool, and food service at the club. It was hard to return back home but, have great memories at such a lovely home.